Last year I had the absolute pleasure of visiting Chiang Mai, Thailand for the first time. I now know why Thailand is nicknamed the 'land of smiles'! I thought I'd experienced good service elsewhere but when it comes to hospitality, Thai people simply come into their own. There were so many things to do in Chiang Mai that it was hard to narrow it down to fit our three 3 day stay, but I am so happy with what we did. 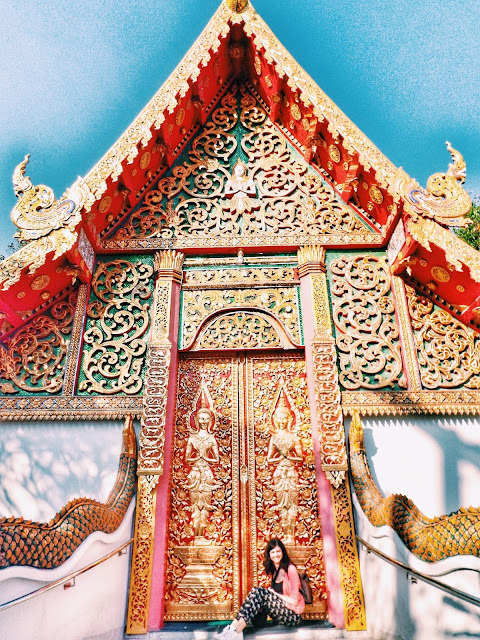 We visited Bangkok, Phuket and Chiang Rai as part of this trip, but by far the standout for me was the largest city in Northern Thailand, Chiang Mai. Think winding streets with a new beautiful temple to gaze at round every corner, the cutest cafes and independent shops and you get an idea of how gorgeous the town of Chiang Mai truly is.